Sometimes when I’m feeling “blah” I like to add a little sparkle or fun touch to glam up my look. It might be a swipe of red lipstick or a dash of leopard, but it instantly makes me feel ready to take on whatever task is at hand. Below are a few simple ways to inspire you to add some glam into your life. Who isn’t obsessed with bows right now?! My friend Nikki has an amazing accessory line and designed this big fab bow that can be worn so many different ways. This happens to be my fav. While shopping with my mom last week I was noticing all these fun collar accessories and thought how easy it would be just to pin some earrings on a collar to jazz up a simple button down. The bigger the stud the better! 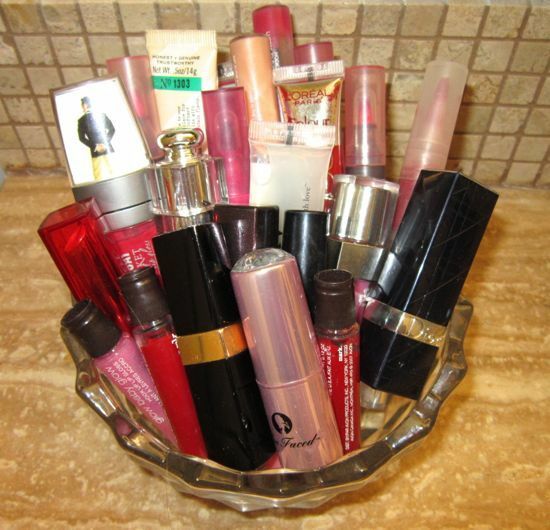 I have so many lip glosses and lipsticks that I tend to forget about them if they’re tucked away. I also love all the color they bring to a space, so one day I broke a pretty bowl out of my kitchen and decided to display my lip products on my bathroom counter. Now they are accessible and add another fun girly touch. My mom got me this giant vase and the first thing that came to mind was a clutch display! I tucked my prettiest clutches (that would fit) in it to show off on a console table in my living room. Like the lip products, I think they get more use when they’re out in the open and I see them every day. How do you add sparkle to yourself and your home? WOW i LOVE that hair bow! would love to konw where to get one! Oh my gosh, the sparkly hair bow is adorable! The earrings on your collar is a genius idea. Love it! I adore that bow! It looks so perfect in your hair. Love your hair tricks Ash….definitely a huge inspiration for me!!! I have been searching for a big, bold bow and you have found it! I just love it, so pretty! 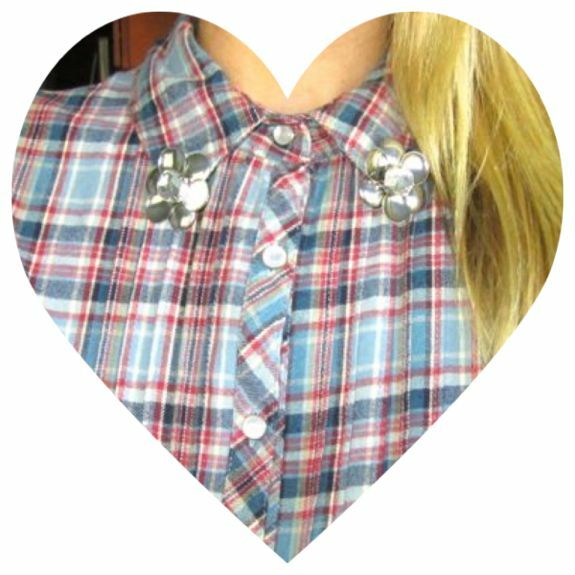 Fabulous idea to clip earrings on your shirt too! LOVE. oohhh I love that first picture! That bow is amazing! Love your bow bun! Your lipgloss collection makes me want to go out and buy some more! I’m definitely stealing your idea of embellishing a collar here soon! I will actually be using some crystal earrings I have! WOW! 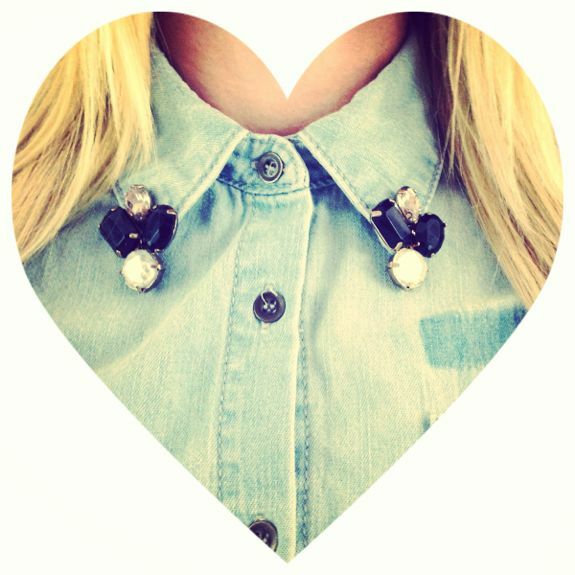 what a great idea, pinning earrings on your shirt collar. I should totally try that. It really adds an extra bit of flavor to the whole outfit 🙂 THanks for sharing!! Oh my…that hair bow….super cute! The collar accessories…adorable! Love all of these ideas! Thank you for sharing! Love the Bow! You can always glam something up! Do you like spa days?